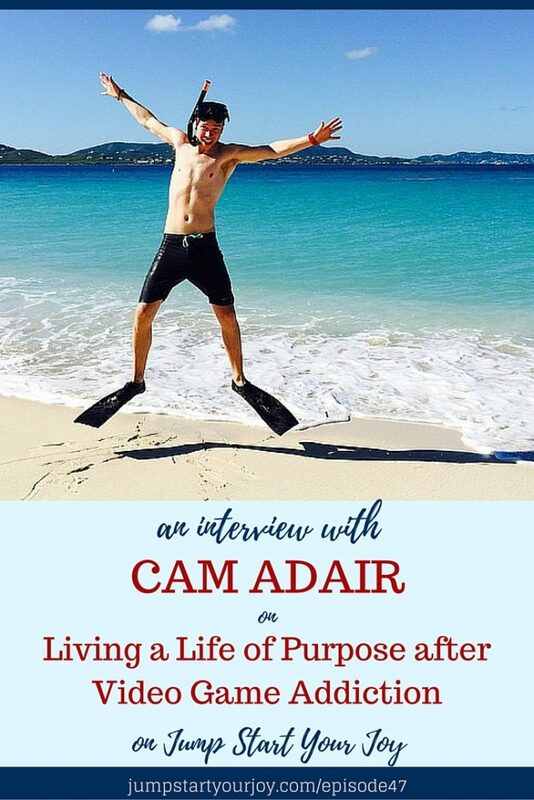 This week, I’m so excited to have Cameron Adair on the show. 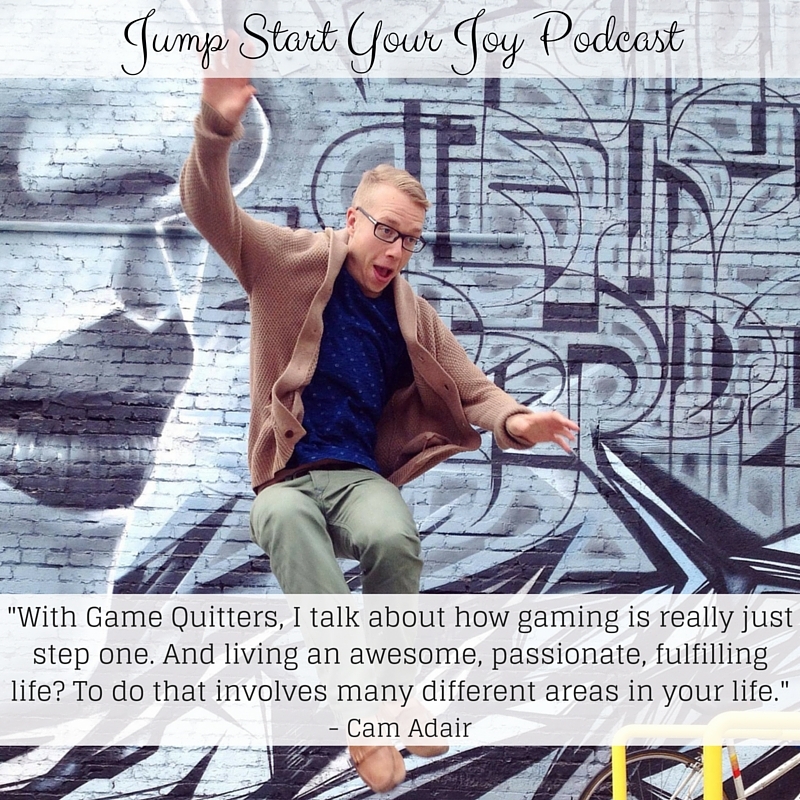 Cam Adair is the founder of Game Quitters, providing support and community for people who live with video game addiction. He started playing video games (or gaming, as you’ll also hear it referenced in the episode), at age 11. He was bullied in school and gaming provided a great escape, and he started playing more games. Because of video game addiction, Cam dropped out of high school twice, and after giving up gaming, only to relapse and play for 16 hours a day for five months straight. In wanting to finally find a way to end the cycle of addiction, Cam quit again, and wanted to find more resources to help inform him on how to do so, and found there was very little information out there about how to quit video games. And, so, after having a post on the topic go viral, and giving two TED X talks, he founded Game Quitters. I loved talking to Cam for lots of reasons; I love games and have struggled at times with not being able to walk away from “just one more” turn or hour or whatever, on several games. I admire that he’s bringing light to a topic that often gets dismissed, or that’s misunderstood. Game Quitters is providing people a safe place to come together to support one another as they fight video game addiction. 11:25 Cam’s start in playing video games. Cam talks about how being bullied in school and hockey, starting in 8th grade, led him to find an escape in video games. Eventually, he stopped playing hockey, and dropped out of high school twice. 11:50 Cam reached the point where he was severely depressed and write a suicide note. 15:45 The crossroads of where is something enjoyable, and when is it an addiction and causes and issue? Cam’s answer: when it causes conflict. 17:45 I share about having played World of Warcraft, which remained fun, but how later, Game of War felt like it was in a place of conflict for me. 18:45 We talk about how games (and the newer app games) are created differently than games were in the past. Many of the newer games are created so that they prey on the human desire to keep playing, and often layer in a payment structure that allows you get ahead or stay “alive” in the game based on buying lives or paying money to continue. 21:30 Cam’s question of “Are you having fun, or are you happy?” – it’s a question of are you stimulated, or are you fulfilled? 23:05 We talk about how our society has been raised to be hyper-stimulated, and that is often a state where people think that they feel “good.” It has made it difficult for some addicts to understand what a normalized level of stimulation feels like. The fall out of having been constantly entertained is that people lack the know-how of how to develop meaningful friendships. 25:30 Cam shares about how to develop soft skills, and social skills. 31:45 What parents should try to understand, if they have children who are gaming; that your child does have real friends that are also playing the game, and that their children might not have social skills outside of the game to make transitioning into real life friendships easy. What parents can do to help their children. 34:05 What to do if you are feeling in conflict with your decisions to game (or participate in any behavior) and you wan to break that habit. 39:15 How changing your life, after working on an addiction can feel isolating, since much of your social network likely is still actively doing the behavior that someone now knows they can’t continue to do. 46:05 What courage looks like outside of playing video games, and how the vulnerability, and risk is higher when you are “in real life,” but the rewards are greater, too. 48:00 What’s coming up for Cam, next. 50:05 Cam’s advice on bringing your dream into action (start today and do one thing every day). How have you made changes to you life, to feel more aligned with your purpose? Wow, what an interesting man. He sounds like he has a really incredible story. Can’t wait to tune in. I never thought of gaming as an addiction but I can certainly see why Cam sees it that way after reading the podcast. Anything that keeps us from dealing with the hurt can become an addiction. Great topic and good luck, Cam! Wow – that is really an eye opening story about addiction. I guess I see how gaming can be addictive, but I had no clue it would cause removal from everything, including education. wow, that’s a serious addiction. 16 hours a day for months? I think that would probably kill me. Fair play to him for quitting. Addiction is addiction whether its gaming or alcohol or gambling. Thanks for bringing awareness to this particular addiction because I think its more widespread than realized. Gaming is definitely an addiction that can destroy lives. I saw it personally to a family members. I think it is great how he is openly bringing awareness to the issue. I agree, I think it’s easy to dismiss video gaming as something that’s just an innocuous way to spend time, instead of seeing that it can become an addictive past-time. I’m especially glad that Cam is out there, raising awareness. I have seen video games take over peoples lives before, it is crazy intense! It can be such a stimulating thing, hard to walk away from. So video game addictions are real not just something i made up good! 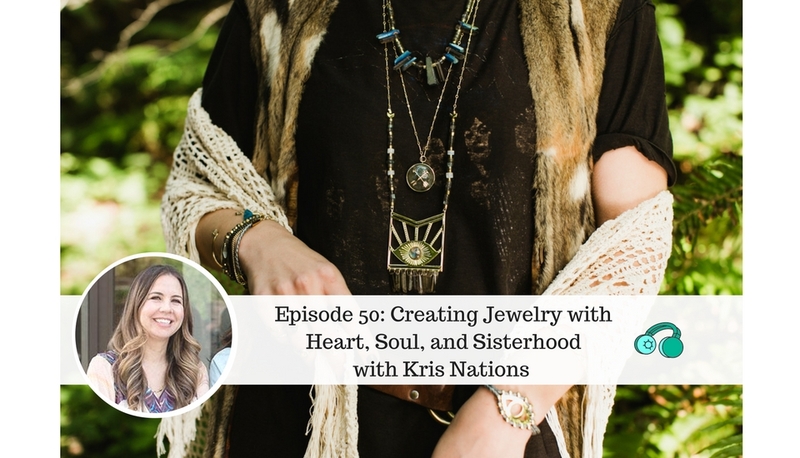 Because I really believed my ex-boyfriend had a major addiction he needs to listen to this! Gaming can be a stress reliever and it also helps a lot of people mentally and emotionally, but there will always be limits. Too much of something is never a good thing and I’m glad he serves as an example to many! Isn’t it amazing how easy it is to get addicted to technology!? When I find myself spending too much time on electronics I try to get outside and move! My husband loves video games and if he could, he would spend 16 hours a day playing. Thank you for sharing this.It was very informative. Sounds like a great podcast. I’m curious to know more about game addiction and recovery. This sounds so naive, but I never knew people could have a gaming addiction! Very informative! Game Quitters sounds like a great and highly relevant resource. Like many other seemingly harmless activities, video games can be an unhealthy addiction if it’s what you rely on for fulfillment. I want to make sure that my son does not get addicted to video games. He loves to play and sometimes does not know his limits. I should totally get my dad to check this out! He’s been addicted to online gaming since I was a child. If he’s not at work or sleeping then he’s sitting in front of his computer playing a video game. If he’s opening to hearing the message, it’s a great idea. If the podcast isn’t his thing, Cam also has a couple of TedX talks that are really good. I usually don’t listen to podcasts, but I found yours reeling me in. I enjoyed listening to you and I also love Video Games, Thank you! Video games are certainly a world of their own!! Glad I never became game-addicted myself. Email and Facebook are bad enough addictions. But it’s impressive how Cam approaches the topic as a way to open up new possibilities. It’s amazing what an effect 90 days can have. 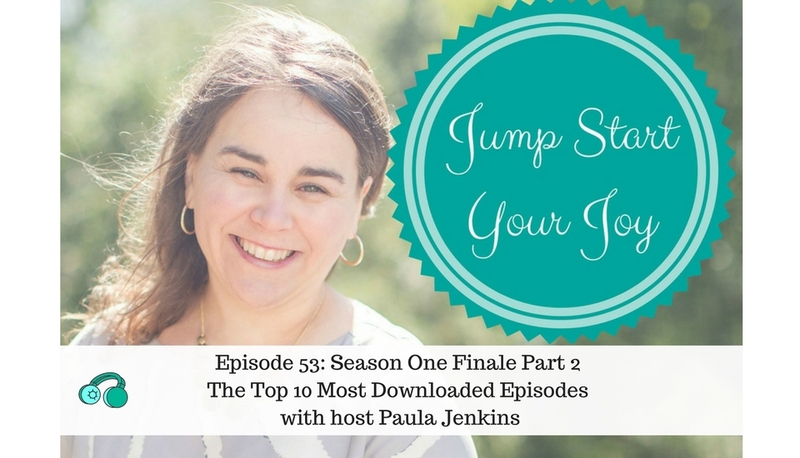 Paula, awesome interview and I believe so many people will benefit from this, especially these days. I think this is a more common issue than we think and it’s awesome to see you doing something to help it out! Great stuff! This is so true that finding the underlying reasons behind our addiction is essential to overcome the addiction. We all have some bad habits that can turn into addictions anytime, so it’s important to take a step back to look at our life from an honest lense. I really love the difference Cam made between happiness and fun . Thank you, Pierre – I loved that he called out the difference, too. I really love Cam’s attitude and openness, too.